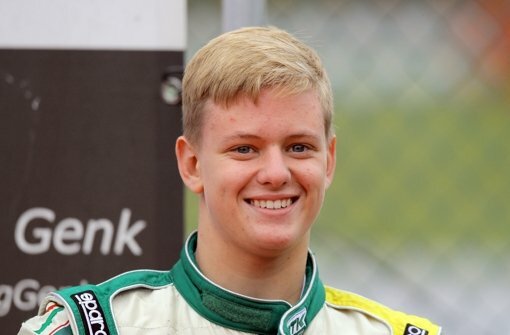 Mick Schumacher, the son of the Formula 1 champion Michael Schumacher, has joined the race of German and Italian Formula 4, 2016 as per the confirmation made by Sabine Kehm. Mick Schumacher is all set to switch to the outfit of Prema Powerteam that has fielded numerous F1 drivers such as Valtteri Bottas, Kamui Kobayashi, Robert Kubica and Jacques Villeneuve at the time of their junior ranks. As per Mick, Prema Powerteam is the ideal step forward to show his best performances and to become a perfect driver. With the well experienced team, Mick is very comfortable working and also the principal of the team; Angelo Rosin has been always there in every detail. This is precisely some of the reasons that made him to join the Italian team that has won FIA Formula 2 victory with Raffaele Marciello, Daniel Juncadella, Felix Rosenqvist and Esteban Ocon between 2012 and 2015. Also, it has won all of Italian Formula 4 championships so far. Mick said that he has been working with the team with a lot of fun and dedication both at the same time and he looks forward to this Formula 4 as a challenge and to share the best experience as a team. He feels very proud to have joined the team. Mick has set his expectations for this year and he is definitely striving to give his best performance and also learn about the team and build himself as a strong driver like his father. Mick Schumacher’s season will be held this weekend and the following week. He will be racing in both series in order to obtain more experience. The majority of fans of Michael Schumacher is eagerly waiting for his recovery and also anxiously waiting to see his son take part in the race this season. Well, Mick has set high expectations for many people and now it’s upon him to live up to it.